Marvelous Multiagers! : Top Ten Things To Know About Me! 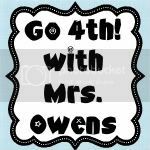 I have seen this linky party all over my Google Reader today, and I wasn't going to do it because I already did a linky party today... but now that I am procrastinating and trying to avoid homework, this sounds like a GREAT idea!!! 10. I drive a stick-shift car and I love it!!! 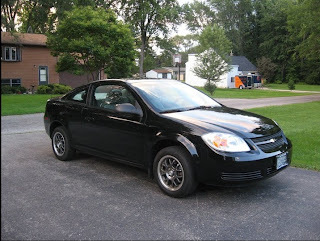 When I had to get rid of my Accord because it was costing a crazy amount to fix it (and things kept going wrong), I knew I didn't have a lot of money and I didn't want car payments. Manual cars are less expensive, so that's why I bought my car. Also, my boyfriend drives a stick-shift car, so I knew he'd be able to help me if necessary. It took some tears and some patience, but I can really drive it now! And it is pretty fun. 9. 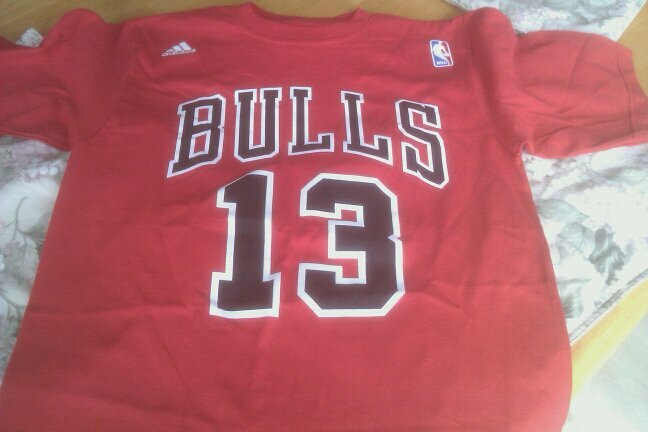 I loooooove the Chicago Bulls! I think I watched every game this season... I might have missed one or two. I also went to a game in Milwaukee for my birthday! I was super happy when they made it to the playoffs and super unhappy when Miami advanced and we did not. But I am psyched for the preseason to start (only three more months!!!). Joakim Noah is my very favorite player, and this year I got a Joakim shirt!! 8. I really love anything involving weddings. Going to weddings... looking at wedding magazines... perusing other people's wedding pictures... Although my own wedding is not on the horizon at all, it doesn't matter - I still like them. I am always on the lookout for unique wedding venues, as I do not want a typical church-and-country-club wedding. 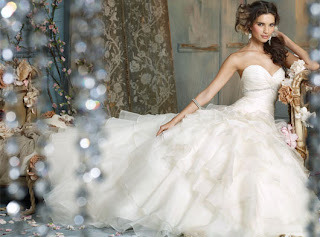 I don't really have anything picked out as far as my own wedding, but I will say that I like dresses like this one by Jim Hjelm! 7. I love mail. For a while I was participating in Postcrossing, which allowed me to send and receive almost 500 postcards from around the world! I have the most amazing postcards now. I hope I can use them to teach about world geography, and if I had a class over third grade, I'd probably sign us up. One of my new obsessions is Letterfu. Using their designs, you can send a letter without any envelope! It's all folds like origami. SUPER awesome, and I just got a Letterfu letter in the mail today from my other most favorite family member, my cousin Kelley!!! 6. I really like my handwriting because it is neat, but it is not "fun." Like, I will happily write out every single word wall word to put on my wall this year, but I can't write a title for a poster or decorate stuff like that. I wish I could! 5. I applied for Teach for America and got to the final full-day interview before I was rejected. :( I was reeeeeeally sad. On my list of regions where I wanted to be placed, I had Chicago, Milwaukee, South Dakota, Miami, and Hawaii. It was pretty frustrating not to be chosen, since all the other people in my full-day interview group had NO IDEA how to teach. But, I like to think that everything happens for a reason. I have my job for the fall now which I know I will like, and that might not have been the case had I gotten into TfA. 4. I am not a big fan of sugary things like doughnuts or chocolate or cake. 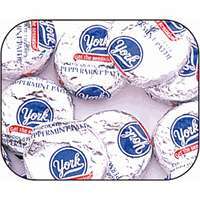 I do like peppermint patties though. For snacks I prefer salty things like pretzels!! 3. I love sushi! Yesterday I ate sushi and it was amazing. 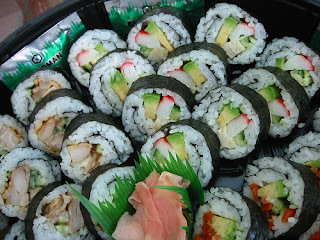 My favorite is the California Roll (I know, I am very daring). I did also eat spicy tuna rolls though! I enjoy dunking my sushi in soy sauce, which my boyfriend tells me is offensive to the sushi chef. I'm sorry sushi chef, but I love me some soy sauce!!! Love how you added pictures to your top ten. I need to work on mine. Wow! You're top ten were WAY better than mine. I guess I need to write more! I also love sushi and I dunk it in soy sauce mixed with the green stuff. I didn't know it was offensive. Whoops! What a great list! I think driving a stick shift is fun too, my only problem is when I'm trying to eat in the car, lol! I love sushi too, but am addicted to sweets...wish I weren't. :-) As for a favorite grade, when I was in college I totally wanted to go primary. And I do enjoy it. But after teaching 5th for 3 years, it would be hard to go back down!